There are three types of Poll that you can create straight from your homepage in The Clubhouse, as well as asking questions. 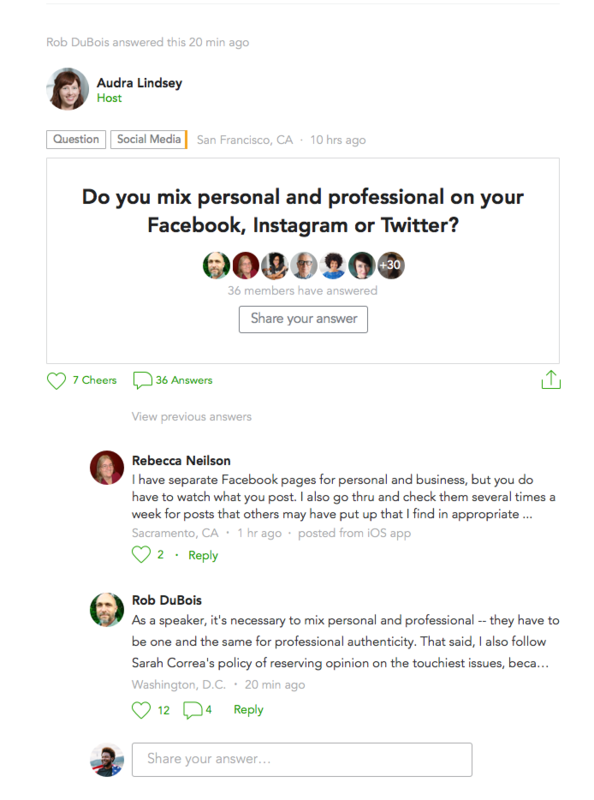 To crowdsource answers from your fellow club members, choose the option to create a poll from the box at the top of the feed and select “Question” as your poll type. Write your question, then hit “Post.” This will post your question into the activity feed, where it’s shared with members and the answers will start to add up. To add a Multiple Choice, Hot Cold, or Percentage Poll when you’re on the web, just select the option to add a poll from the box at the top of the feed. Then, select the poll type you want to use. 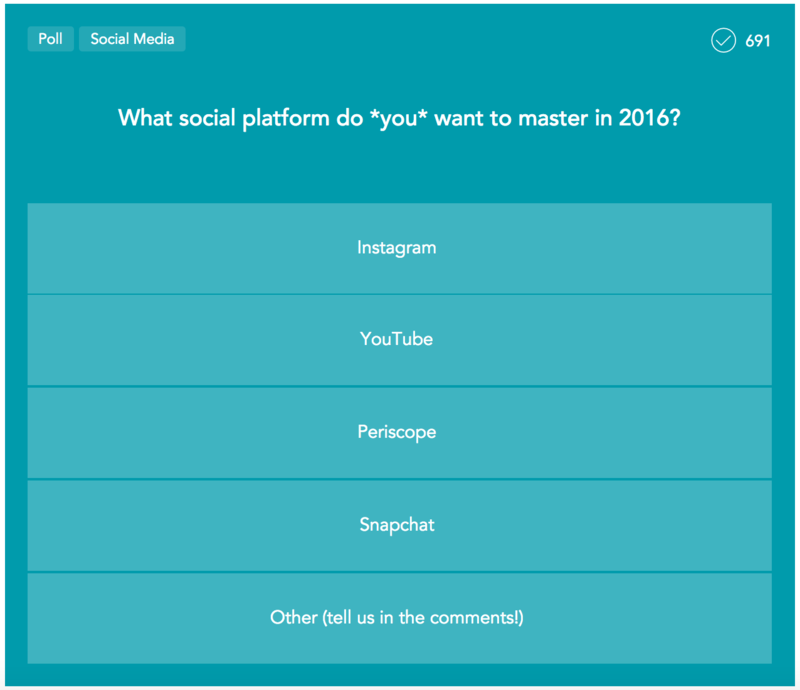 For Multiple Choice polls, you can customize up to five answers. When you’re done, other members are invited to contribute their experience. As more members answer your poll, you can see how you stack up relative to the rest of the Network. 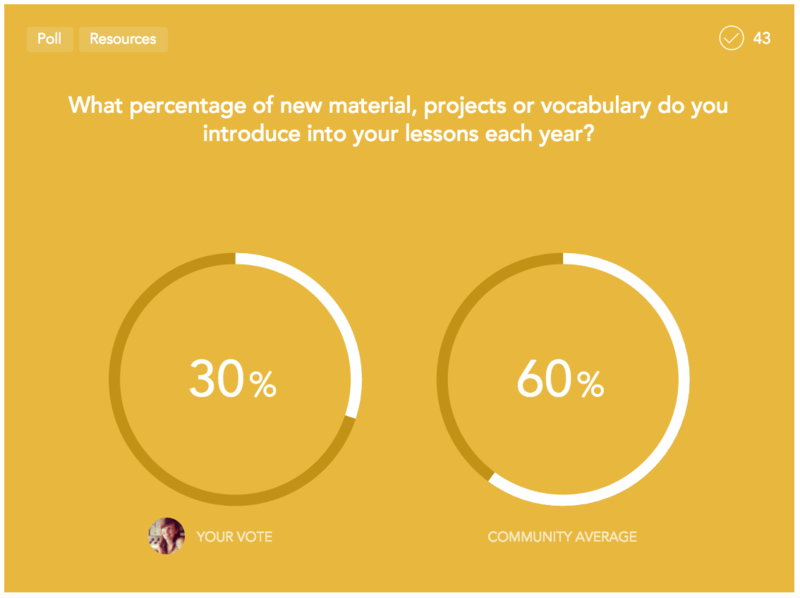 Hosts and members can also add Hot Cold polls for asking questions that might include answers that land across a positive or negative spectrum. To add a Hot Cold poll, change the poll type to “Hot Cold” from the dropdown menu. 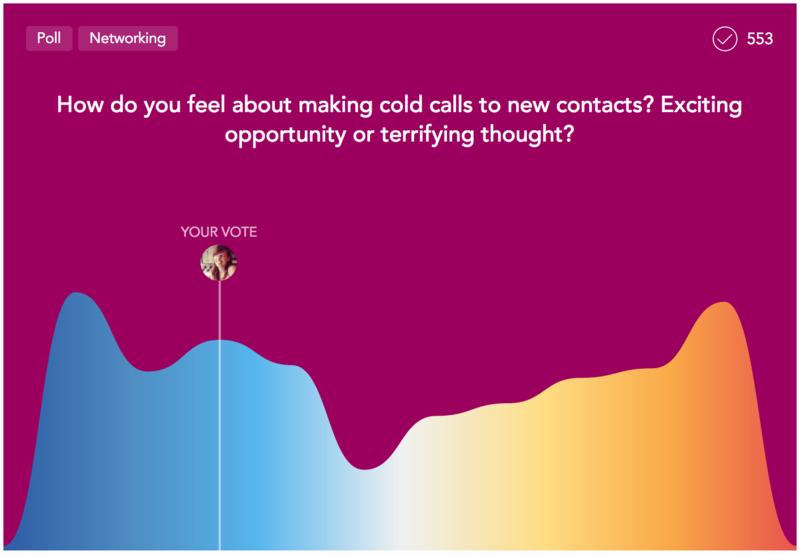 Hot Cold polls show up in the feed as a toggle bar, where members can choose their answer on a negative-to-positive scale. 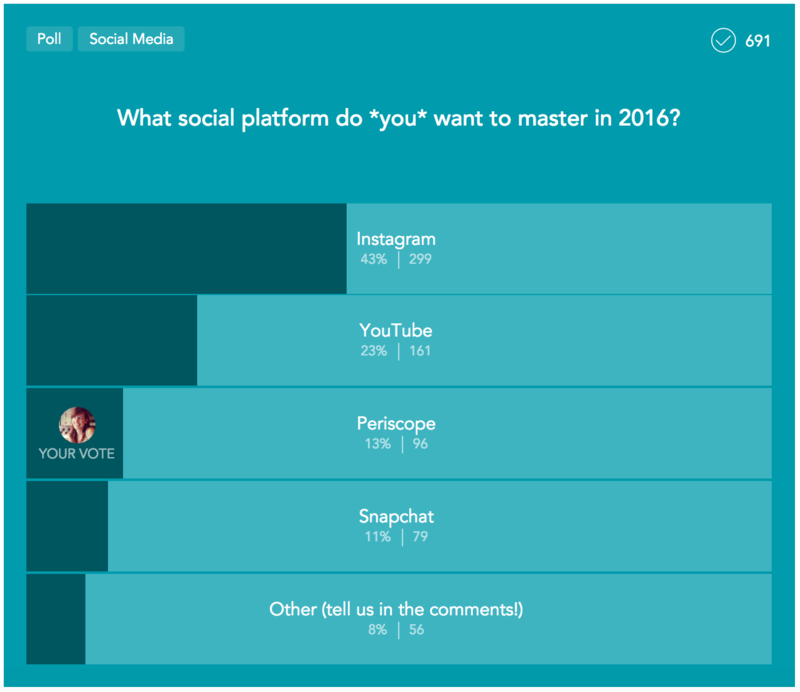 Hosts and members also have the ability to create Percentage polls on the web. To add a Percentage poll, just select “Percentage” from the poll dropdown menu. At the moment members are limited to posting one poll every hour. This ensures there is plenty of time for members to see and answer your question. It also helps to ensure that any one member doesn’t get too enthusiastic with new questions and overwhelm the experience for everyone. The color of the poll corresponds to the Topic in which it’s been added, which is a quick and easy way to connect a poll to a Topic. When a poll or question takes off and starts trending, it will surface for more and more members in their feeds.